A bomb in a crawl space sent the owners of a northwest Louisiana horse farm flying from their bed to the floor, but they walked away uninjured, a law enforcement official said Monday. Authorities say a maintenance worker placed the explosive there, and he faces charges that include attempted capital murder and making a bomb. “It was an absolute miracle” that the owners were able to walk away, said Lt. Bill Davis, a spokesman for the Bossier Parish Sheriff’s Office. The blast threw Bobby and Tracy Hewlett several feet into the air about 4 a.m. Saturday and shook the house, knocking pictures from walls and other items from shelves, Davis said. “They were thrown from the bed with covers, blankets and all. They had a soft landing,” he said. Three dogs and a cat were on the bed with the couple, and they also were unhurt, Davis said. 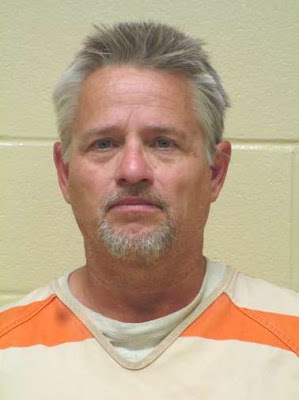 Deputies arrested maintenance worker Douglas Holley, 54, who had worked and lived at the Holly Hill Farm Equestrian Center in Benton for about four years. About six months ago, he wanted Bobby Hewlett, a veterinarian, to help with his horse, but the vet was unable, Davis said. That’s the only problem the Hewletts recall with their employee, Davis said. Online jail records show he was being held without bond on two counts of attempted first-degree murder and several other charges, including a Caddo Parish court warrant from 2009 on a charge of letting cats and big dogs roam at large. He said the explosion left a basketball-sized hole in the hardwood floor and a hole in the bottom of the mattress. A search of Holley’s home, the farm grounds and a few hundred feet from the Hewletts’ house turned up bomb-making materials and indications that Holley had researched how to make explosives, Davis said. David said he did not know whether the bomb was set with a timer or lit with a fuse. “He knew where they were and where they would be,” Davis said.